Lafite at Shangri-La Kuala Lumpur debuts Beats and Brunch, featuring all-you-can-eat modern French food paired with a live DJ performance. 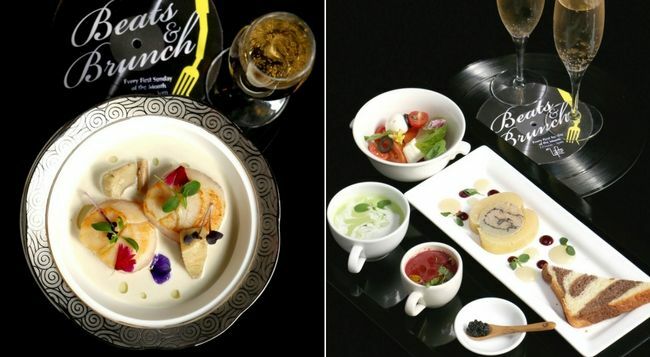 This August 6, French restaurant Lafite in Shangri-La Kuala Lumpur will introduce a new dining concept called Beats and Brunch, taking place every first Sunday of the month. The "brunch" part of the concept will feature an all-you-can-eat mix of contemporary French cuisine prepared by executive chef Olivier Pistre. The "beats" part will see the meal paired by a live DJ performance and a free flow of champagne, wine and cocktails. Diners can look forward to dishes like seared hokkaido scallops, gratinated lobster thermidor, smoked cohiba grilled wagyu beef, freshly shucked Cadoret oysters and many more French treats. When it comes to drinks, a free flow of Veuve Clicquot, Terrazas Reserva chardonnay and malbec, as well as a variety of Belvedere cocktails are available. Beats and Brunch is priced at RM499 per person and starts this Sunday from 12 noon to 3pm. The next installment will occur on September 3, followed by October 1, November 5 and December 3. For reservations, call 03-2074 3900 or email restaurantreservations.slkl@shangri-la.com.